Find a vacation home to rent in Ortignano Raggiolo from our list of vacation rental properties. Campaya has over 14 vacation homes available in Ortignano Raggiolo, which give you the possibility to locate a unique accommodation in Ortignano Raggiolo which completes your check-list in search for the perfect self catering vacation apartments in Ortignano Raggiolo or vacation villas in Ortignano Raggiolo. 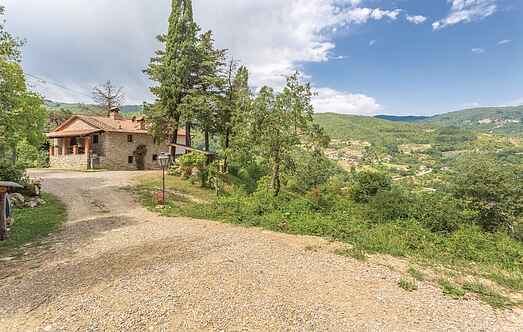 Independent holiday house located in Ortignano, in the province of Arezzo. This old farmhouse has been divided into two typical apartments. Hillside and peaceful position, at the edge of a wood, plot with cypress trees, green with barbecue. This holiday accommodation is located in the small medieval village of Raggiolo, 115 km east of Florence and 55 km north of Arezzo. 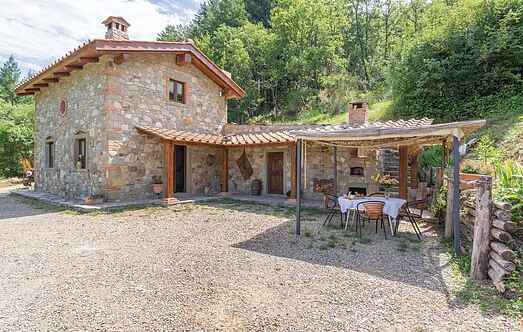 This holiday home with swimming pool is located 12 km from Bibbiena, in the Casentino mountains. Former farm consisting of two apartments. Hillside position on the edge of a grove, plot with cypress trees, green and barbecue. Private terrace and outdoor area in the garden.